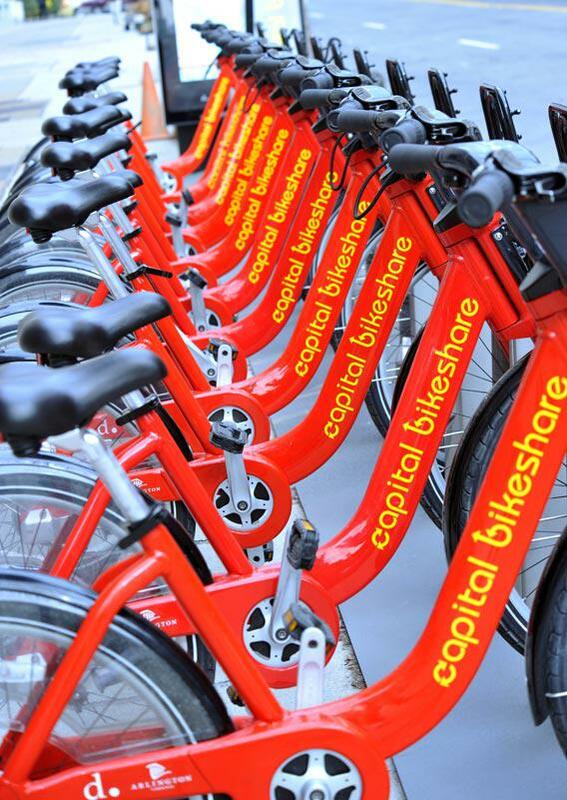 Capital Bikeshare: How Paul DeMaio, Gabe Klein, Adrian Fenty and other DC leaders launched the best bike-sharking program in the United States. How D.C., of all places, made it happen. Bicycles are seen in a rack at a bike sharing station in Washington, DC. If you had been handed, a decade ago, a map of the U.S. and asked to predict where the novel idea of bike sharing—then limited to a few small-scale projects in a handful of European cities, might first find its firmest footing, you probably would have laid your money on a progressive hub like Portland or Seattle or the regional poles of walkable urbanism, New York or San Francisco—all of which were scoring higher, those days, in surveys like Bicycling magazine’s list of most bikeable cities. But today, the nation’s largest, most successful bike-share program—in terms of size, ridership, and financial viability—is in Washington, D.C. How did D.C. accomplish this unlikely task? The program was essentially born late one night, two decades ago, in a library. And so the idea, in the U.S. at least, lay dormant, as DeMaio left school and went to work on traffic-calming projects for the city of Alexandria, Va. But DeMaio nurtured the idea, one of a small band of enthusiasts in the world of bike advocacy and in the fringe of city transportation departments, as it rose to prominence in Europe with popular programs like Paris’ Velib and programs in Stockholm and Amsterdam, among others. And then one day he was talking with a local colleague—Jim Sebastian, the bicycle coordinator with D.C.’s Department of Transportation. The district’s contract for bus shelter advertising was coming up for renewal. “I said, ‘Hey Jim, this is what they’re doing in Europe—they’re offering bike-sharing services as part of an outdoor advertising contract.” The DDOT, then led by Dan Tangherlini, got behind the idea. And, so tucked into the many-page request for proposals was, he says, a “very short mention of bike sharing.” One hundred bikes, 10 stations. And so, in 2008, a few decades after DeMaio’s Copenhagen epiphany and a few years after the RFP—Clear Channel, the winner of the bus shelter contract, “wanted to get all their bus shelters out first, and then … look into this weird bike thing,” jokes DeMaio—Smart Bike DC launched. It was, by most accounts, a noble failure. There were too few stations and bikes to form a meaningful and useful network. The system offered only long-term memberships, rather than offering short-term access via credit card. In fact, it didn’t take credit cards at all (so much for capturing the tourist market). Building stations took a lot of time and money. DeMaio himself says he used it only a handful of times. In D.C., Gabe Klein, a former VP at car-sharing pioneer ZipCar and political neophyte, was appointed head of the DOT. He had an “action agenda,” as he calls it, with more than 100 items on it—one of which was to launch a larger bike-share system. “Having come from ZipCar,” says Klein, now transportation commissioner for the city of Chicago (which, like New York, is launching a big bike-share system this spring), “I knew that any sort of nodal business was only as effective as the number of nodes you have.” While SmartBike was useful in terms of getting early adopters onboard and the public used to the idea, it was a trip to Montreal, with its Bixi system, that hinted at what a bike-share system could look like. SmartBike stations, Klein says, “were a construction project. It took months. You had to get PEPCO [the local electrical utility] out there, it had to be wired.” Bixi’s stations, by contrast, were solar-powered and modular. Where it could take three months to build a SmartBike station, Bixi stations could be set up in three days. Launching a sponsorless bike-share system intended to break even, or even make money, was unprecedented. And having no sponsor made raising capital a challenge, but D.C.-area governments scavenged for the money. “We got lucky,” says DeMaio. In Arlington, the Virginia Department of Rail kicked in $200,000; a business-improvement district in Crystal City matched that. The county chipped in more. In D.C., the government used money from the Congestion Mitigation and Air Quality (CMAQ) improvement program. It also tapped its own innovative revenue stream. Through an “enterprise fund” within DOT—funded by things like parking revenues (which, Klein says, had gone up some 400 percent thanks to new technologies like “pay by phone”)—Klein says there was “money to match the ongoing growth of the program.” Bike sharing, like all politics, is the art of the possible. But all this kindling needed the continued sparking of progressive planners and policymakers having conversations—at conferences, in offhand remarks at the end of meetings—about this ephemeral, European idea. And it helped that the political climate was encouraging. “To be honest,” says Klein, “under another mayor, it wouldn’t have launched.” As it happened, Fenty lost his bid for re-election just as the system was getting off the ground. “That’s why it’s important to be aware of your time limits,” says Klein, adding that the system launched a little over a year after his fateful trip to Montreal. Just getting a system up and funded is hardly the end of it, of course. It has to work, on any number of levels, from user-interaction to network viability to system legibility. On a drizzly December morning, I performed my own test. Just off the Acela, I call up the Spotcycle app on my phone (here’s another key: data transparency) and locate a station a block away from Union Station that is showing plenty of availability. There should, of course, be a bike-share station just outside the station, a visible connection—the main lesson transportation should draw from behavioral economics is: Make it easy. The more steps—either transactional stages, or literally, walking—required, the less attractive the choice becomes. But in a few minutes, I have joined Capital Bikeshare and am pedaling toward its operational headquarters to meet Eric Gilliland, Capital Bikeshare’s general manager, in a warehouse not far from the Nationals stadium. One of the ironies of bike sharing is the most important role in the company, even more than the bike mechanics, is that of the driver. “This is our biggest employment category,” says Gilliland, as he leads to me to the “rebalancing room.” In an ideal world (or mathematical model), the supply and demand of trips and bicycles would be in equilibrium—as I left Union Station on that bike, another commuter would be pulling up with a bike of his own to drop off. In reality, though, people’s individual trips rarely coincide to maximize network efficiency. After an average Nationals baseball game, for example, says Gilliland, more people want to leave on Capital Bikeshare bikes than arrived that way. “They just don’t want to bother with the crowded Metro,” he says. For reasons like this, Capital Bikeshare’s sweep teams spend their days moving bikes around, by van. The morning crew makes sure downtown docks are empty, to accommodate the incoming tide; the late-morning crew shifts bikes back to the neighborhoods (“to give people another opportunity to use the bikes”); the afternoon crew brings bikes downtown for the evening commute. The system is not without its weaknesses. 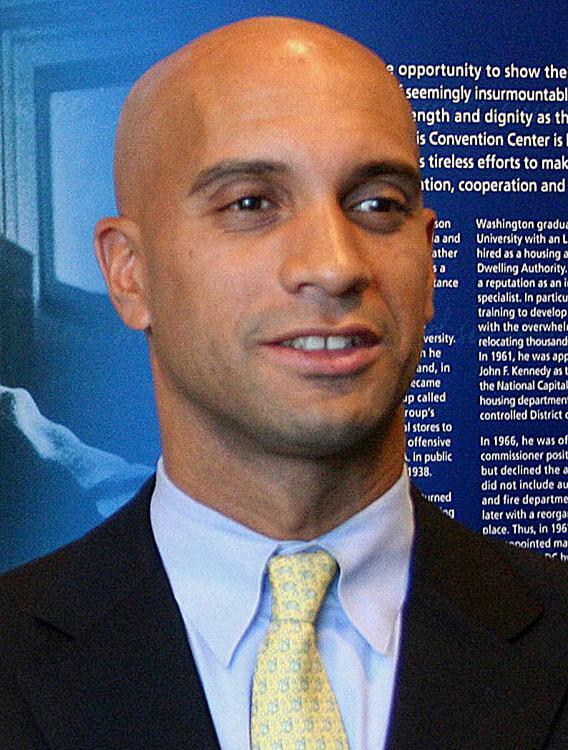 Work by David Daddio has shown, for example, that many stations are underused, and that a station’s success depends largely on five factors: The age of its nearby population; the density of retail outlets (and in particular liquor licenses); the proximity of Metrorail stations; distance from the center of the system itself; and, essentially, the presence of a lot of white people. Gilliland says Capital is trying to counter the demographic skew, not just through geographic expansion, but in a partnership with Bank on D.C. to provide bike-share access to the “unbanked” —i.e., people who don’t have credit cards, which are necessary to use the system. To help defray the costs of expansion, the city, led by its planning department, has been encouraging the funding of bike-share stations by private developers, ranging from a new Wal-Mart in the District to a development by the Shooshan Co. in the Ballston section of Arlington. As D.C. planning head Tregoning explains it, developers, in exchange for a concession—say, having to build fewer “structured parking spaces,” agree to pay for a bike station near its property. In a city where only 60 percent of the population has access to a car, says Tregoning, developers are keen to avoid “getting stuck with the parking,” i.e., building more parking spaces than they want to in order to comply with mandatory minimums.